Kea and the team did a great job at our event. We had about 100 people and 3 bartenders kept the partying going. They were on point with keeping me up to date on the event. (I am on the east coast, the party was on the west coast). They were my onsite eyes and ears for the night. As issues came up, they alerted me to them and we dealt with them together. Highly recommend them for your upcoming events!" 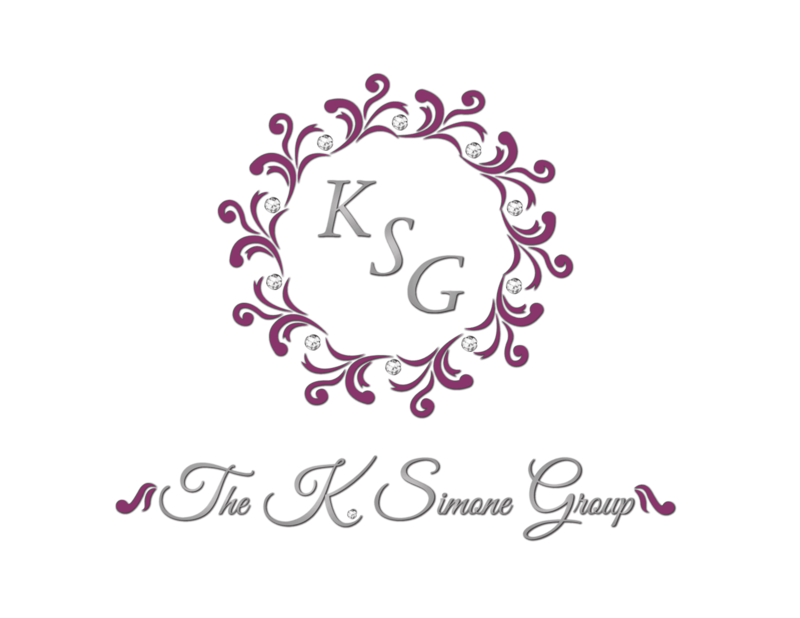 I hired the K. Simone Group for a dinner party I hosted at my house for the holidays. The two servers that we had at our event were great; they were professional, knowledgeable and wonderful at predicting our needs throughout the evening. It all worked very seamlessly so that we could enjoy our time with our guests and not worry about much else throughout the evening. We definitely plan on hiring K. Simone Group again for our dinner party next year!" Kea and Al were awesome! From beginning (booking) to end (party) everything was easy, transparent and allowed me to trust in them fully. Price was great too! Highly recommend them." Great service overall! Punctual, friendly and professional. I would definitely use them again." Kea, you and Al were both really awesome. I appreciate you going above and beyond to help make the party a success. The whole team is still raving about it. Your help throughout this whole process was incredible. We will definitely be working together again. Thanks to you and big thanks to Al for being a great bartender"
Kea and her team were SO nice and professional! They have a lot of charisma and made our guests feel welcome and cared for. Working with Kea was easy and stress free." Kea and her staff were timely beyond, courteous with everyone and made us feel very comfortable in all facets of service.Professionalism at its best in being team players and making everything run smoothly for the client. We are so happy we chose her company and look forward to working with her and staff again. A Blessed encounter and great synergy!" K. Simone Group provided bartending services at our wedding. They did a great job from the very beginning from answering my many questions via email, assisting with the menu and shopping and serving the day of. Kea and Allan were both were very nice, professional and helpful. We would definitely hire them again and recommend them to friends and families." "K. Simone Group met our needs and then some. Hired one bartender for a 25 person dinner party. Al arrived on time and ready to help with set up. During the party he was professional, had a great knowledge of the drinks and was very personable with the guests. Would for sure hire again. Thank you!" Couldn't have asked for better service! Fantastic help, always there even before you needed something. She made sure I could enjoy my guest and not worry about details. I will be using her again! Amazing!!!" We were completely satisfied with the level of service we received from the K. Simone Group. We will be hiring them again for future events. They were professional, courteous, knowledgeable and a pleasure to work with. Great job!" Al and Kea were absolutely amazing! They were true professionals, arriving promptly on time, were personable and friendly, their drinks were fantastic and fast and they cleaned up very well! What was also great was that you could see they enjoyed what they do! We highly recommend them and will undoubtedly be using them again for our other parties. Thanks Al and Kea for being so great!" PHENOMENAL SERVICE! I couldnt say enough about how professional and how great a job The K. Simone Group did for our event this past weekend. They were on top of everything. I mean EVERYTHING. From planning the event, inventory check, emergency planning and on the spot problem solving (we had quite a few things missing haha) they took everything in stride without skipping a beat. Hands down they were the highlight of our event and I will be sure to recommend/include them to all my clients, business partners and future events. Thank you guys so much for helping EPX Elite Performance have an amazing night!" This was the most wonderful experience. I wish I could give Kea 10 stars. From start to finish she was there for us, every step of the way and come party day she enabled us to relax and enjoy our party. There is no question, we will use her again.... and again, what a joy to have met her! She was ready and willing to help me less than a week before my destination wedding! She did the venue walk through with me the day before and when we realized we needed someone to help with lights - she jumped right in and found somebody immediately! Her team was great and worked hard. Kia and her team are wonderful. They went above and beyond, really taking care of my guests and thought of details to make sure my event went smoothly. Really great experience! Kea and her team were a blessing. Thank you guys for everything. Kea's team were some of the nicest and most efficient bar tenders I've had the pleasure of working with. Their collective energy brought a wonderful vibe to our event and both of their kind smiles had those that attended chatting about them! I would and absolutely plan to use The K Simone Group again for bar service! I had the most amazing experience working with Kea. Everything leading up to the party was so easy and great. The bartender, Al, was so nice and easy going. He was also fun. Our guests had a great time with him. I also never had a better tasting margarita. I hired the K. Simone Group to staff my birthday party. Her team was highly professional and responsive to all my guests' needs throughout the night. The bartenders offered great, quick drinks and top-notch customer service, ensuring that party goers were having an awesome time. Kea and her team went above and beyond contracted duties, helping out wherever they could when it came to finishing off decorations or cutting and serving cake. I was pretty carefree the night of my party, and it was all thanks to the great event planning services by the K. Simone Group! I will definitely use them again and will refer them in the future. I had a great experience with Kea! She was very helpful leading up to our event! From the beginning, Kea was super friendly and beyond helpful throughout the process. They created a couple signature drinks for our company party, which everyone LOVED! Looking forward to our next event with The K. Simone Group! !